When betting in this game you need to ask one question. Chris Gayle, do you feel lucky? "At [1.79] the Sunrisers are the way into this match, although justifiably short. If it's Chris Gayle's moment in the sun, however, it could cause any pro-SRH bet problems. But he is too inconsistent these days for it to compromise what otherwise is the right play." Kings XI Punjab lost their last match to Chennai Super Kings by 22 runs and it's their batting that is the worry if you have backed them for a long run in this Indian Premier League. The middle-order of Mayank Agarwal, Mandeep Singh and David Miller have been far too hit and miss when openers KL Rahul and Chris Gayle have failed at the top of the innings. 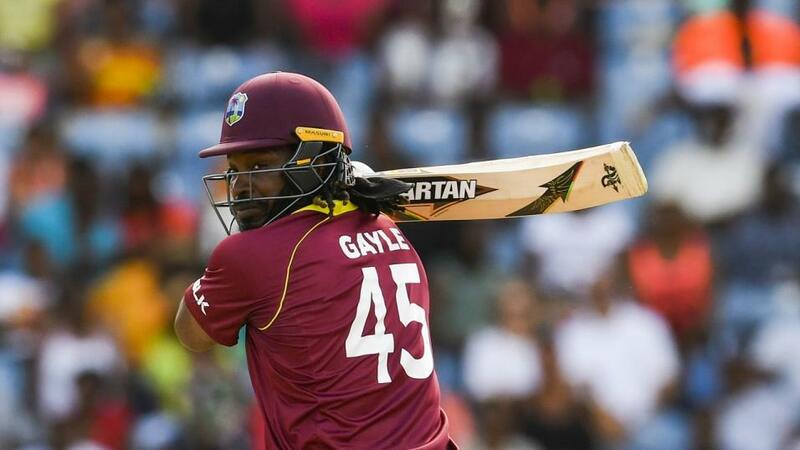 Like any match featuring the greatest T20 batsman of all time, you always need to be wary that this could be Gayle's one huge innings of the tournament. Ravi Ashwin is a skipper on a mission to send a message to the Indian selectors that he can do a job with the ball in one-day cricket with the World Cup on the horizon. He has led with authority, the odd Mankad controversy and plenty of bite. The Mankad incident is a symptom of a plauer eager to do almost anything to win. Whilst it is not on my 'good things to do' list, it does send a powerful message to his team that they are in this tournament to win matches. Sam Curran has shone with bat and ball, including a hat-trick, as Andrew Tye has also impressed, as you'd expect from last season's Purple Cap winner. They need more than powerful performances in the field however, to be considered as genuine title contenders. Over to you batters! I seem to be getting to write all the Sunrisers Hyderabad previews and, for the first time, I have to rip up the previous script and potentially look for other bets. Or do I? In the same way one swallow does not make a summer, one bad match does not necessarily spoil a winning strategy. It is also no disgrace to lose to Mumbai, who remain my tip to win IPL 2019. Sometimes a side's key strength can also be their weakness. With Jonny Bairstow and David Warner securing huge first wicket partnerships the SRH middle-order have largely remained seated in the dugout. On Saturday, when they were finally tested in the 40-run defeat to Mumbai Indians in Hyderabdad, they looked woefully out of practice. The chase of 136 should have been meat and drink, but Vijay Shankar, Manish Pandey, Deepak Hooda and Yusuf Pathan never threatened as Alzarri Joseph ripped them apart with an IPL best-ever of six for 12 on debut. There is no need to worry about Hyderabad's bowling as talisman Bhuvneshwar Kumar looks to be getting back to his best. The Afghanistan spin pairing of Mohammad Nabi and Rashid Khan have been excellent. The ability to play Nabi may be compromised if coach Tom Moody opts to bring back fit again Kane Williamson. The New Zealander was the Orange Cap winner last season and, With only four overseas players allowed in the SRH XI, something has to give. Both teams come into this game level on points after three wins from five games and only SRH's superior run-rate sees them lead KXIP in the table. Kings XI's poor return against spin in the defeat to CSK will be a worry against a Sunrisers side which includes Rashid Khan, the best limited overs twirler in the world game. Add in Mohammad Nabi and they will be tested again. The Sunrisers have dominated this fixture down the years, winning nine of the 12 games played and four of the five matches played at the Punjab Cricket Association IS Bindra Stadium in Mohali. At [1.79] the Sunrisers are the way into this match, although justifiably short. If it's Chris Gayle's moment in the sun, however, it could cause any pro-SRH bet problems. But he is too inconsistent these days for it to compromise what otherwise is the right play. K L Rahul, with 55, and Sarfaraz Khan (67), were the only successes in the loss to CSK. Rahul is the backbone of this Kings XI top order and far more consistent than his more flamboyant opening partner, Chris Gayle. If Gayle fires he wins this market, but his amazing days are more infrequent these days and I'd happily take Rahul at 3/1 over the West Indian at 5/2. The rest of the batting order are too flimsy to put money behind and a half-stakes play on Sam Curran at 5/1 could even reap rewards. I have avoided the Sunrisers' batting markets as the Man of the Match field has provided better value, but after the relative failures of Jonny Bairstow and David Warner last time out, I am looking at Warner in this market. The Australian's record against Kings XI is exceptional. He has more than 150 runs clear of any other batsman from either side in this encounter and has best scores of 81, 70*, 59 and 58 against the Punjab side. Obviously Bairstow's power could provide a threat, but Warner at 13/5 to top score, 8/1 to be Man of the Match or 4/1 to score the highest knock of the match are all worthy of consideration. The one bet I retain from previous SRH matches has landed in all five of their games so far, even when their opening stand was considered to be a failure in their last outing. Warner and Bairstow have been by far the most prolific opening partnership of IPL 2019 so far and are worth backing to take the Highest Opening Partnership market again at 10/11 is a tremendous bet. There is no way this market should be priced as a pick 'em.